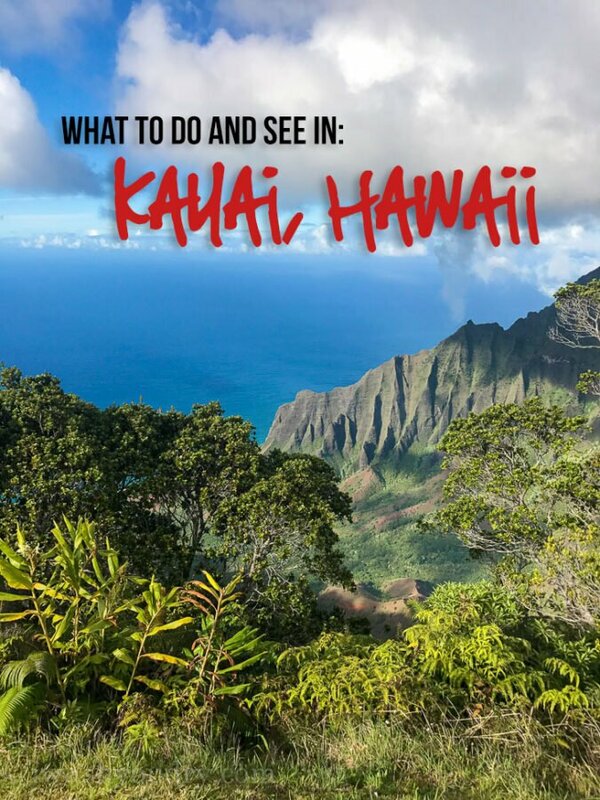 We spent One Week in Kauai, Hawaii and I’m sharing all of our MUST SEE things and places to stay to help you plan your next trip to Kauai! 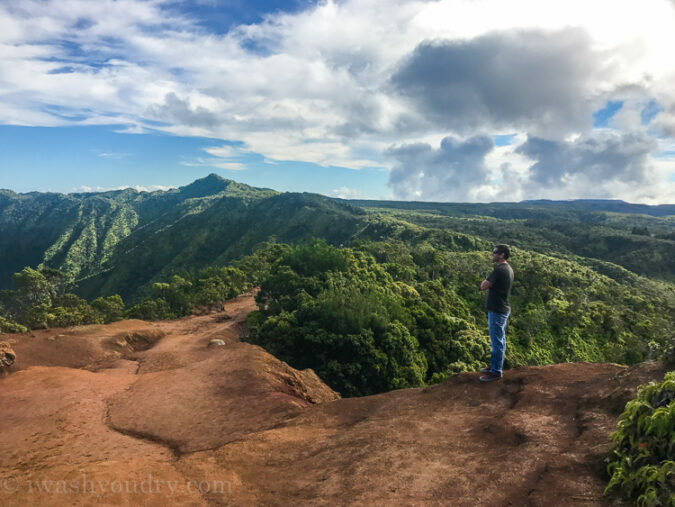 After our trip to Maui, Hawaii we hopped on a plane and traveled all the way over to the remote island of Kauai. I was told by many to expect this island to be lush and beautiful with a slower paced vibe and everyone was spot-on. First thing you need to know when you’re looking at where to stay in Kauai is that this island has a wet and dry side. Since we were going to Kauai for a full week we decided to split up our vacation by staying on both the north and south shores. The first four days we were up north in Princeville, which is more of the wet and rainy side. 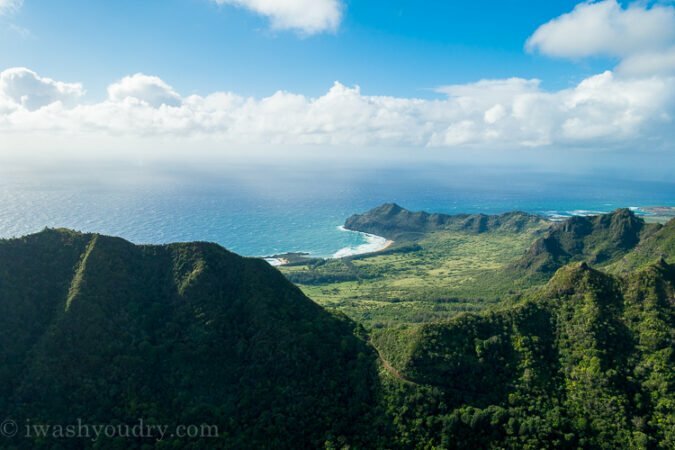 This is because that warmer weather rolls in from the ocean and gets stuck by the tall mountains in the middle of the island, breaking up the clouds before they really have a chance to reach the south side of the island. The first four nights we stayed at this gorgeously green and lush resort with cliffside views of the beach below. 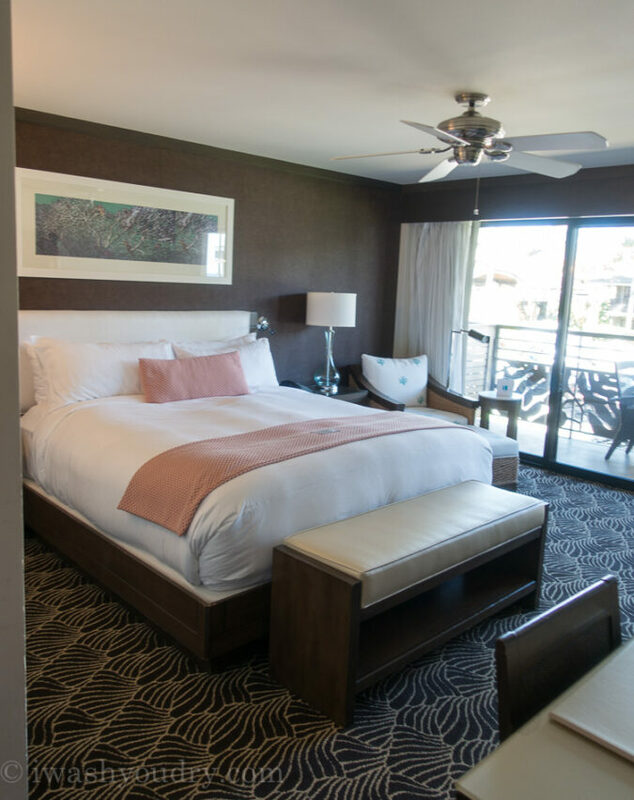 If you’re looking for a place to relax and unwind, this resort has it all! Several pools and hot tubs scattered between luxurious villas and massage huts, fine dining, arts and crafts, and of course pool side services. 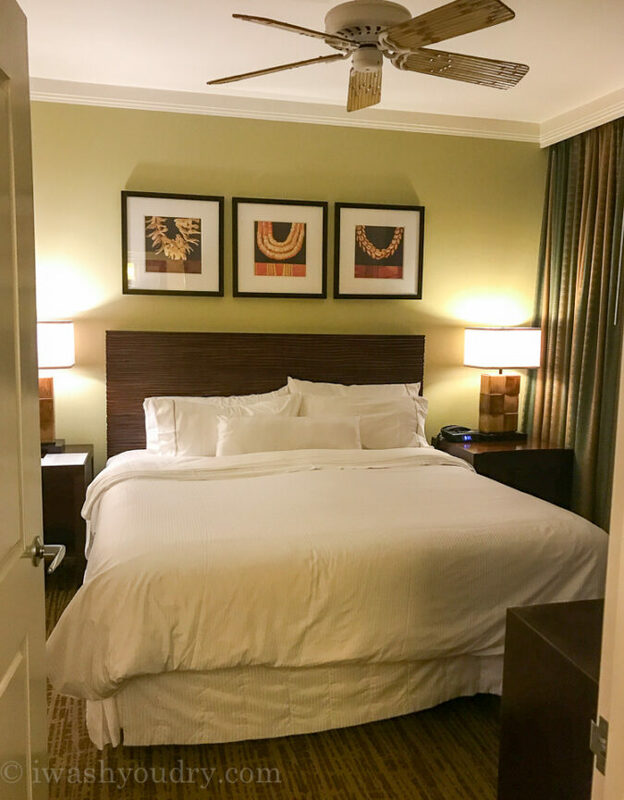 I reached out to The Westin Princeville before arriving in Kauai and they hooked us up with a discounted room rate and a free dinner (I’ll be sharing my Kauai food recommendations next week). We were super grateful for our gorgeous villa. As far as we could tell, all the rooms are fitted with a kitchen which is a huge bonus if you’re trying to save money on dining. 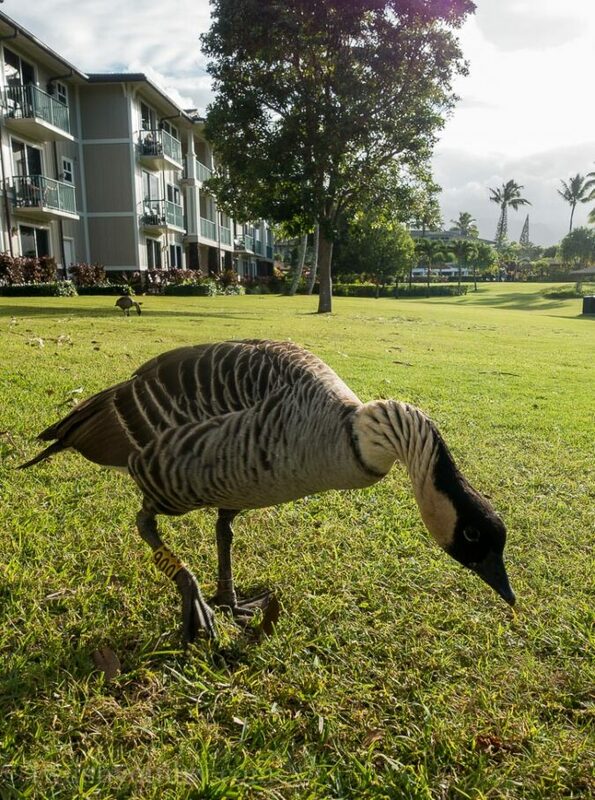 One of my favorite things about this resort was the wild Nene birds that roamed the grounds. They were super curious and would come right up to me when I was trying to take pictures of them. This resort was fantastic and definitely aimed towards families who want to relax outside of the hustle and bustle. We would definitely visit this place again but bring our kids next time! The last few days we traveled to the south side of the island to stay at PoiPu beach. 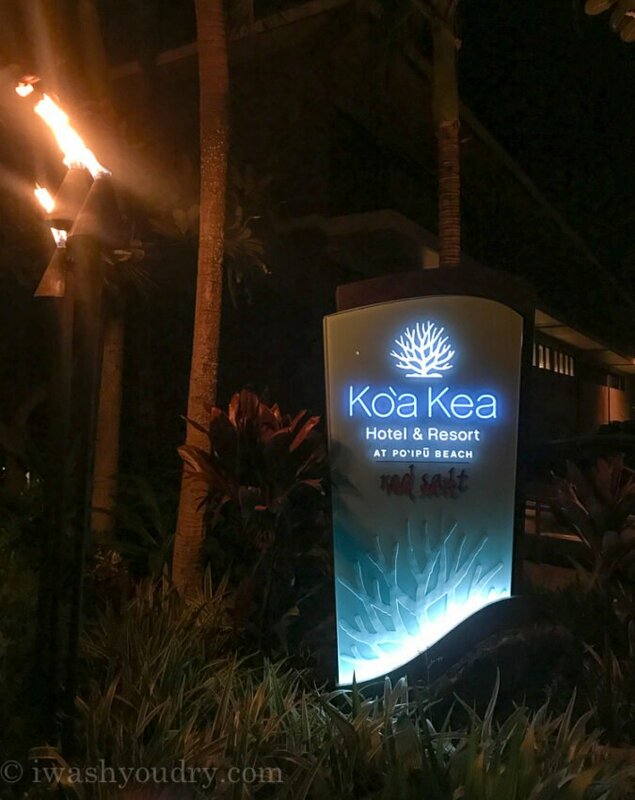 My mom had a friend who suggested Ko’a Kea Hotel and Resort as her favorite place to stay in Kauai, and I have to admit we were very impressed. 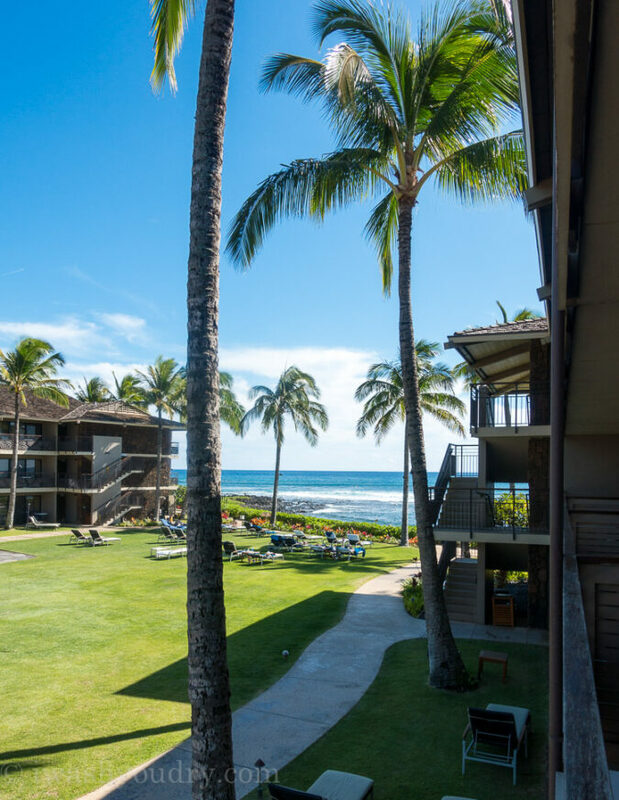 The resort is nestled right on the Po’iPu Beach which is famous for snorkeling and sea turtle sightings. This slower paced resort boasts a fantastic pool and hot tub, lush greens, fine dining and top of the line rooms. We were greeted with fresh flower leis upon arrival and escorted to our room by our front desk attendant. This smaller resort is aimed more for the couple, as I don’t think I ever saw any children during our visit. BUT, I definitely think kids would enjoy all there is to offer with the beach right there and the beach rentals available. One day we rented boogie boards from the kiosk in the middle of the resort and spent several hours on the beach riding the waves. 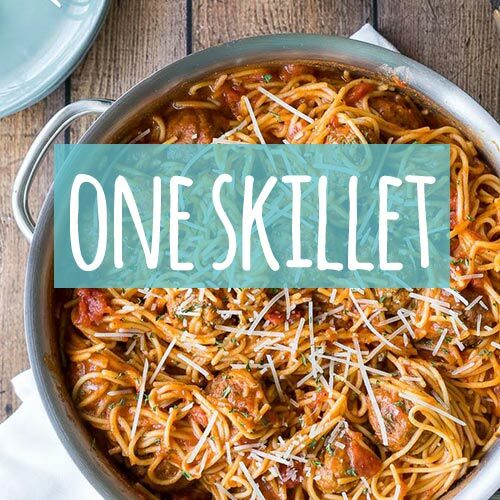 It was so much fun and super affordable! 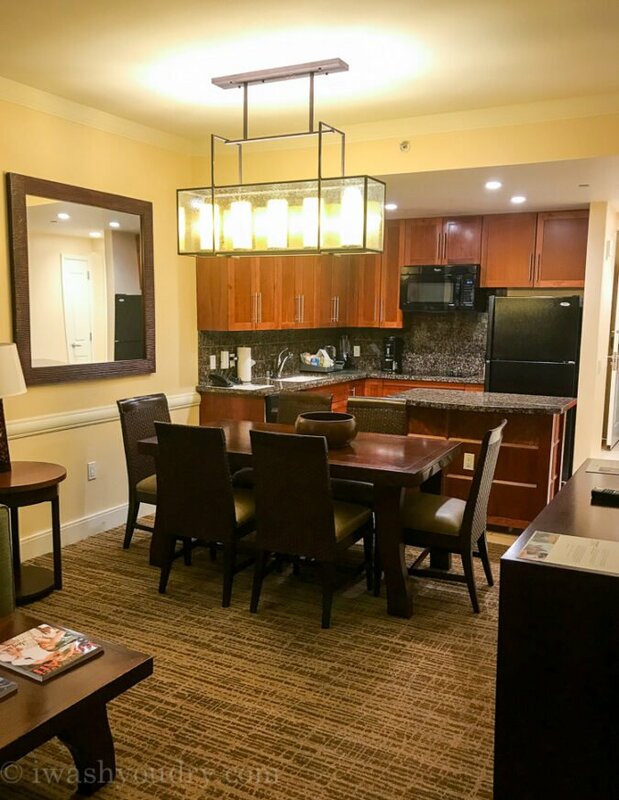 If you’re looking for an amazing place to relax, while still being right on the beach and minutes from all the action, this hotel is definitely for you! 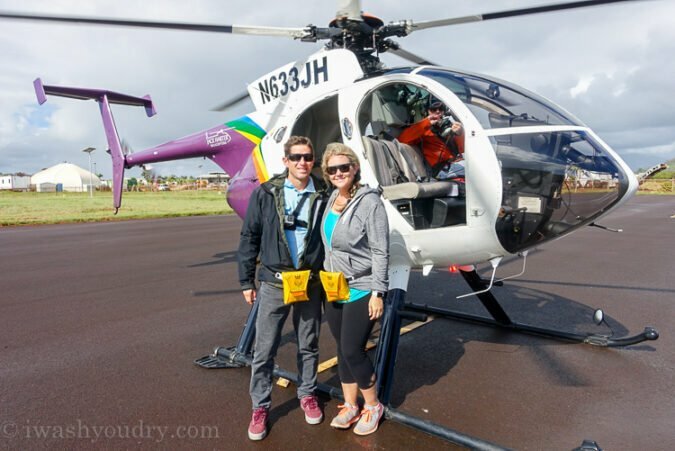 The very first activity we booked when we arrived in Kauai was a helicopter tour of the island. There are so many parts of the island that are inaccessible by car, that the only way you can see them is by plane, helicopter or boat. 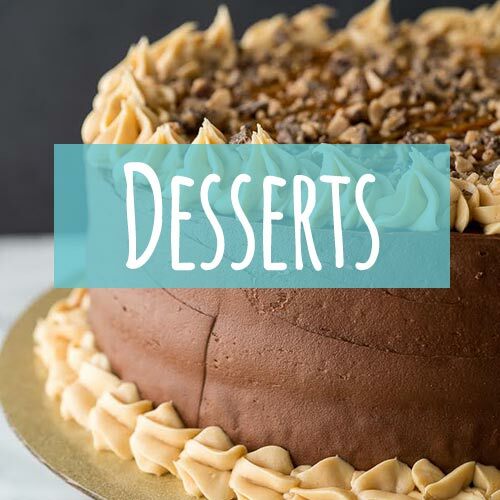 Make this your FIRST activity so you can get an idea of the different parts of the island you’d like to explore more during the rest of your stay. The tours are a little pricey, but SO WORTH IT. 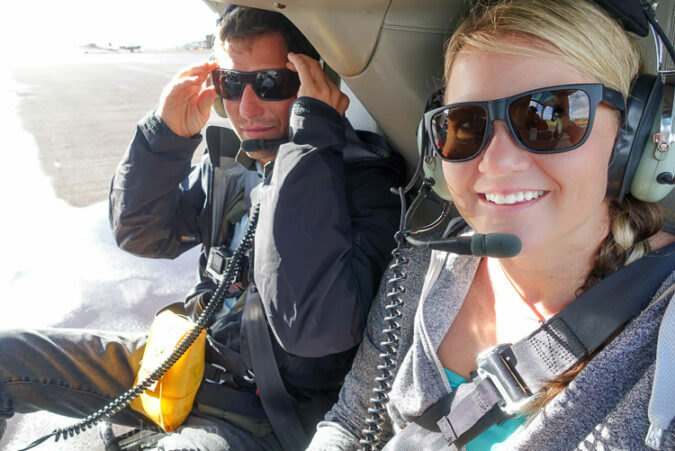 We booked with Jack Harter Helicopter and had an amazing experience. We went with the open door flight, which was a little more expensive, but the cool air and unobstructed views were worth it. Just check out some of the amazing pictures we got! 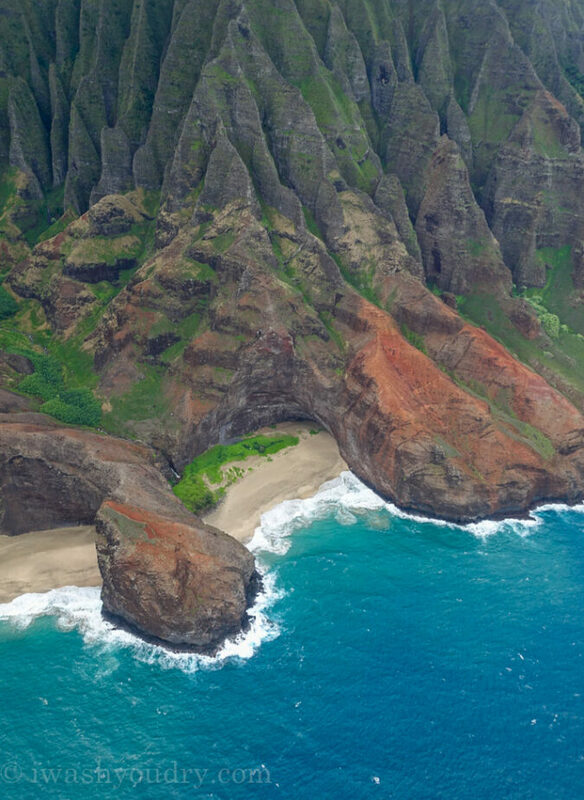 This is the Napali Coast Line which is on accessible by boat or plane/helicopter. Of course you can access it by hiking, but with over 10 miles of hiking over steep terrain, I wasn’t about to try that. My husband is determined to make it back to Kauai to do the long hike and then camp on the beach. It sounds fun, but I will need to work up to that. The steep cliffs are studded with gorgeous waterfalls that run right into the ocean. It really is a sight to see. 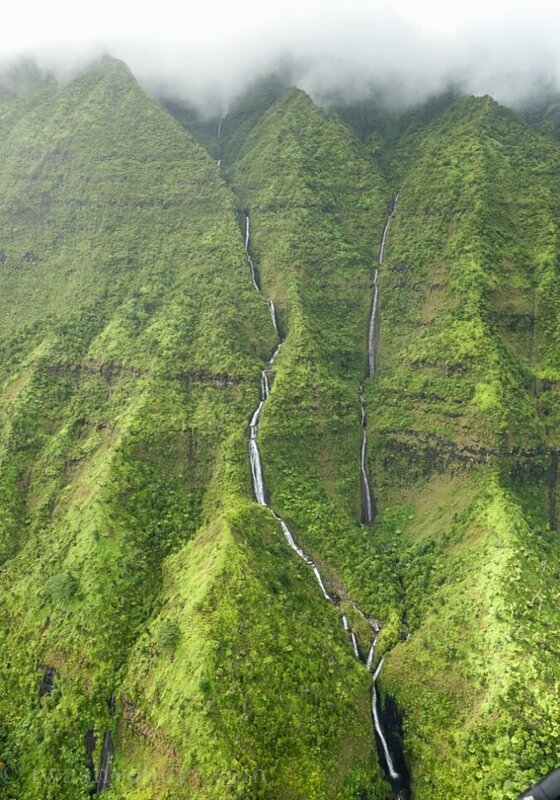 While on the helicopter tour you will fly by Mount Waiʻaleʻale which is the second highest mountain in Kauai. This mountain top averages over 452 inches of rain per year. The summit is known as one of the rainiest spots on earth! How crazy is that!? 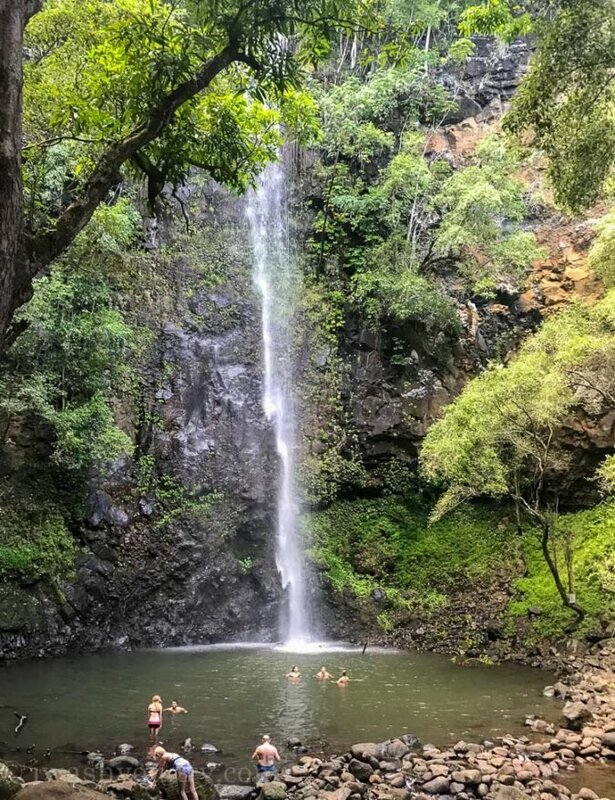 We took a tour a 5 hour kayak tour up the Wailua River that included a 1 mile hike through the jungle to the Wailua Sacred Falls waterfall. This was an impromptu adventure and we’re so glad we did it! The tour started with with a quick tutorial on how to paddle the kayak and then we were off on our guided ride up the river. After two miles of paddling we made it to a river bank where we docked our kayaks and embarked on our guided hike through the jungle. The hike was a not terrible and fairly easy to navigate, but there were some steeper and slick parts that would make it a little more difficult for anyone not used to hiking. When we arrived at the Sacred Falls our guide pulled out a delicious deli-style lunch that included chips, cookies and fresh pineapple! We ate lunch, swam in the cool water and we even splashed around in the waterfall! Once everyone had their fun we packed up and hiked back to the kayaks and paddled back to where we started. 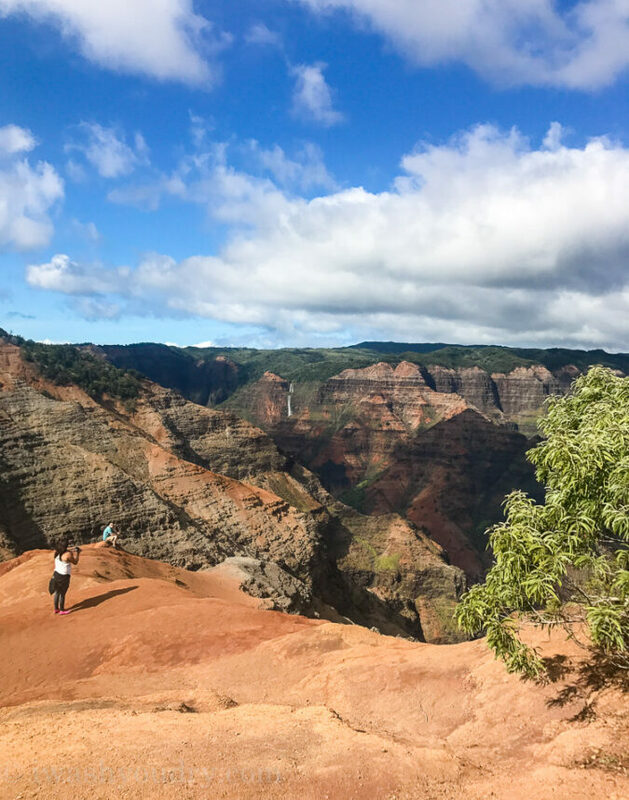 Waimea Canyon is knows as the “Grand Canyon of the Pacific” with it’s colorful canyons, waterfalls and rainbows. Since we live in the southwest, we are very familiar with the Grand Canyon so I definitely wanted to check this out. We saw a lot of the canyon from our helicopter tour, but being on the ground and seeing it from that angle was also magical. The road to the top of the canyon winds between red rock on the right and views of the ocean on the left with pit stops and view points along the way. Every time we stopped we were blow away by it’s beauty. There are also small or long hikes all throughout the state park to fit your level of fitness. We saw people with backpacks going on overnight hikes and we saw people doing short day hikes. So much to see and do! 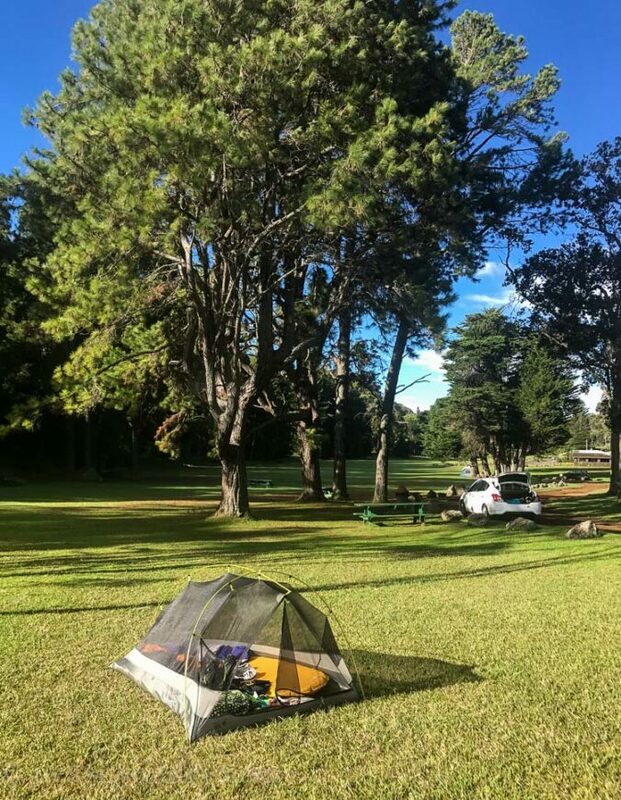 If you read my One Week in Maui post then you know that we brought our camping gear with us to Hawaii and we weren’t about to go to Kauai without spending at least one night in that tent! 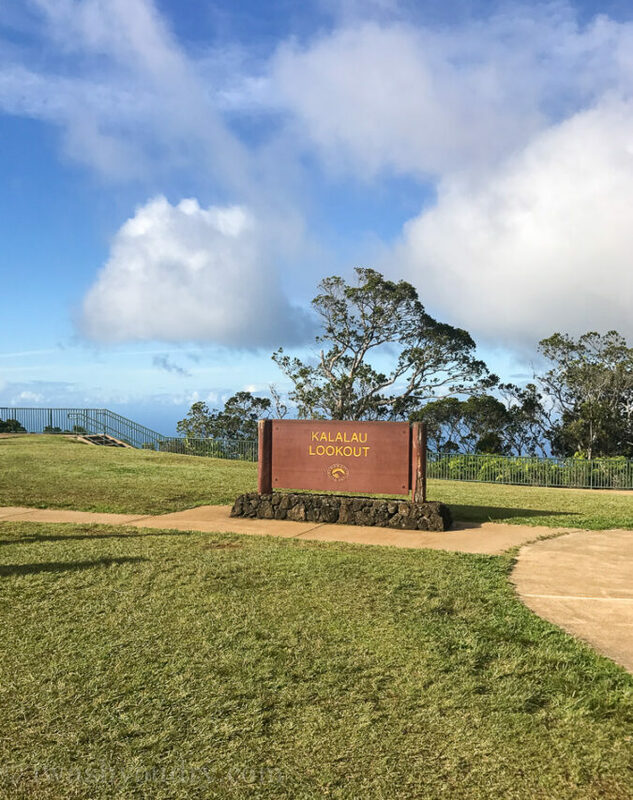 We found Koke`e State Park had a nice camping area towards the top of the Waimea Canyon which provided nice cool weather in the evening and perfect temperatures in the day time. This park had bathrooms with running water, picnic tables and lots of green space to spread out. There is a really fascinating cultural museum here as well that we spent hours looking at all the relics and reading about the history of the island. We even found a few avocado trees with fresh avocados on them! We picked one and had it with our picnic style dinner that night. Unforgettable! 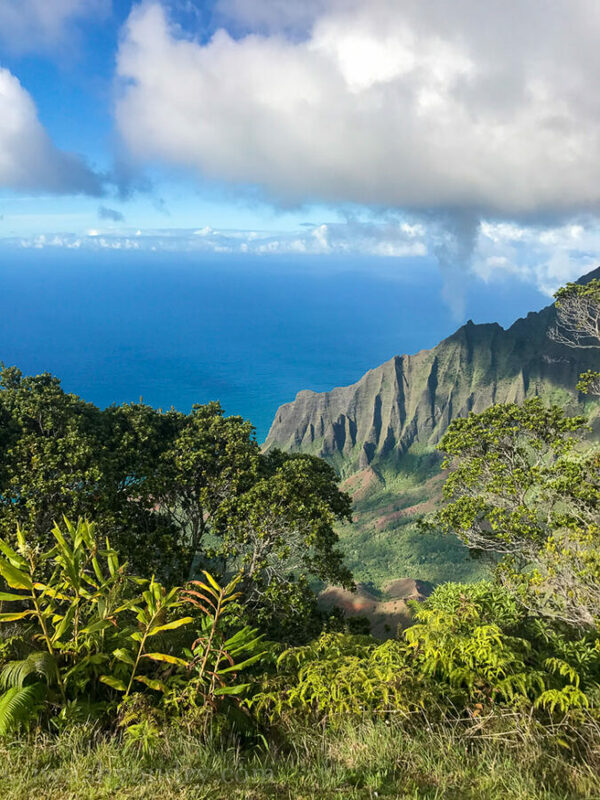 The Kalalau Lookout is just beyond the park with some of the most gorgeous views I have ever seen in my life. 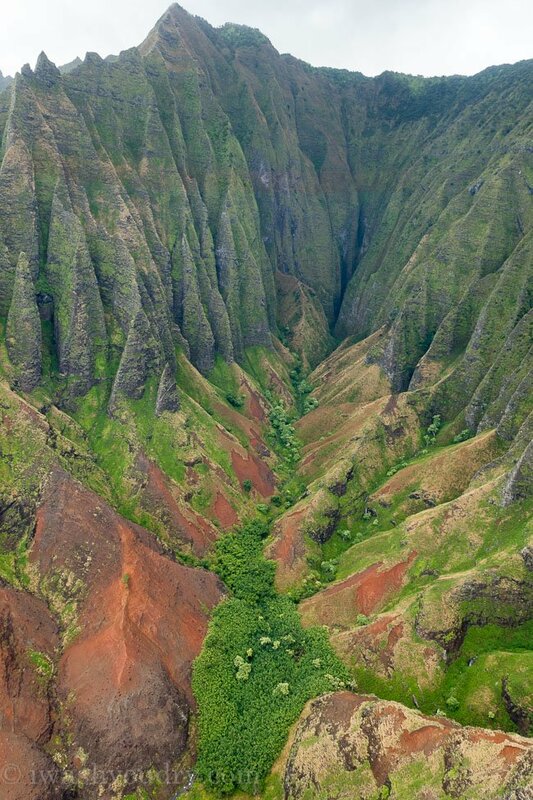 Views of the Napali Coastline merging with the Waimea Canyon… stunning! 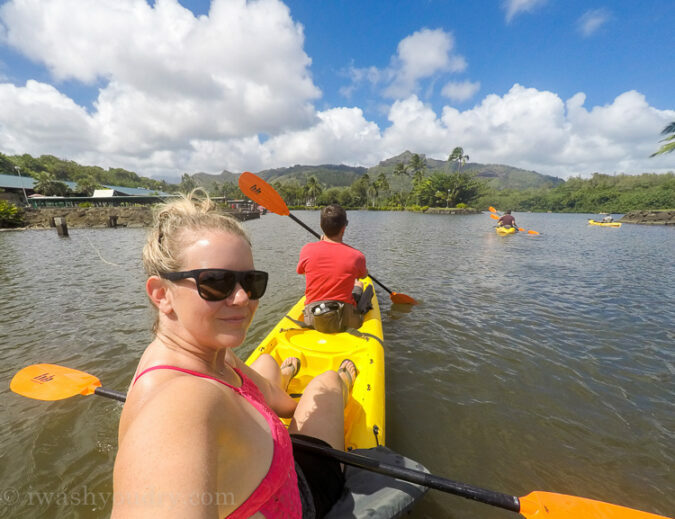 We visited beaches on all sides of the island of Kauai and here is a list of a few of our favorites and why! Tunnels Beach – this beach is located on the northern side of the island towards the end of the road past Hanalei. There is easy parking access with tons of shade trees, crystal clear waters with loads of coral reef and abundant sea life. 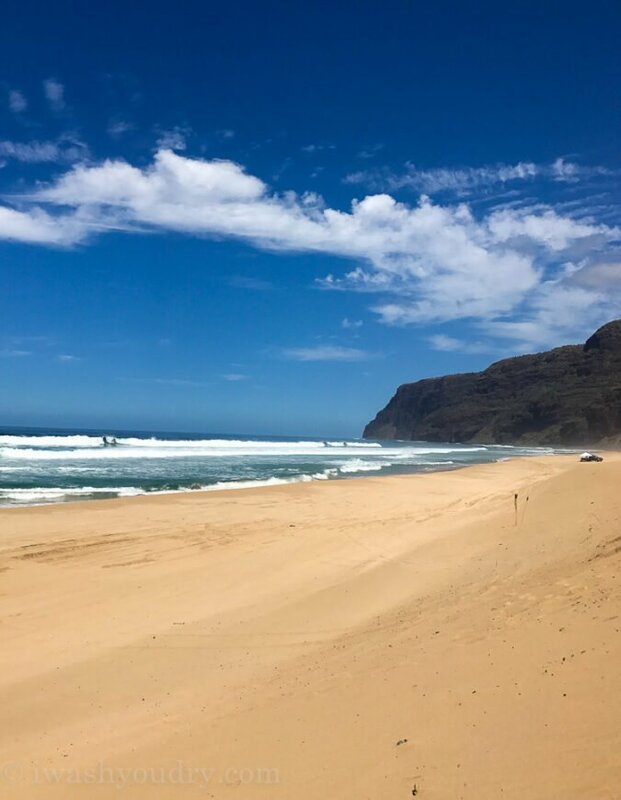 Polihale State Park – this beach is located on the west side of the island and is also towards the end of the road just past Kekaha. To get to this beach you’ll have to drive on a dirt road for a bit, but it’s so secluded that you’ll feel like you’re on a gorgeous beach all to yourself! This beach is best for surfing or boogie boarding. 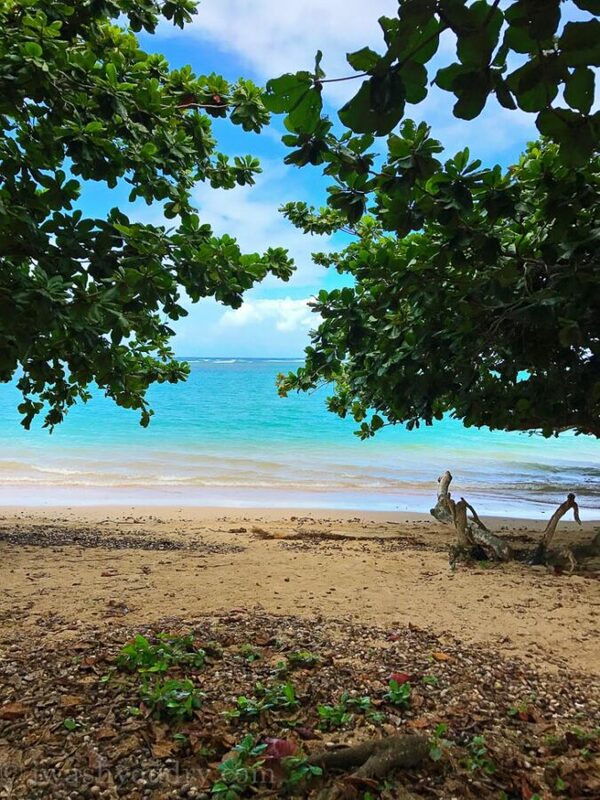 Salt Pond Park – this beach is located on the southwest side of the island. It’s a nice family friendly beach that’s perfect for snorkeling and sand castles! Poipu Beach Park – this beach is located on the south side of the island and was probably the most heavily trafficked beach we saw, but for good reason. The snorkeling is amazing and there are high chances of sea turtle sightings! Keālia Beach – this beach is located on the east side of the island and was constantly windy, which makes it perfect for surfing. There is also a fun bike path that you can rent bikes and cruise up and down the beach. Kauai was an absolute blast! We had so much fun exploring and seeing all we could in just one week. I know there is so much more to see and do there, so we can’t wait to plan our next trip. 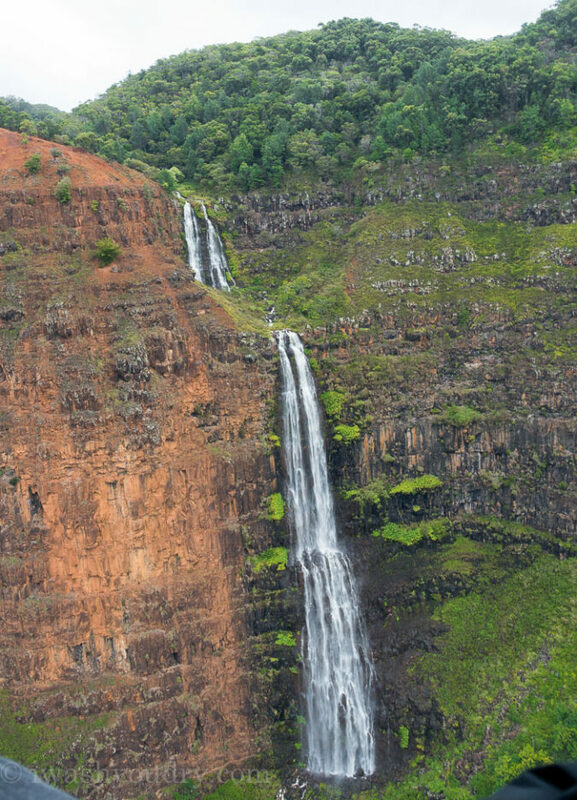 If you have been to Kauai and have any more recommendations please feel free to leave them in the comments below for me (and others) to use. 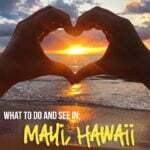 I hope you found some helpful information here to help you start planning your next trip to Kauai too! 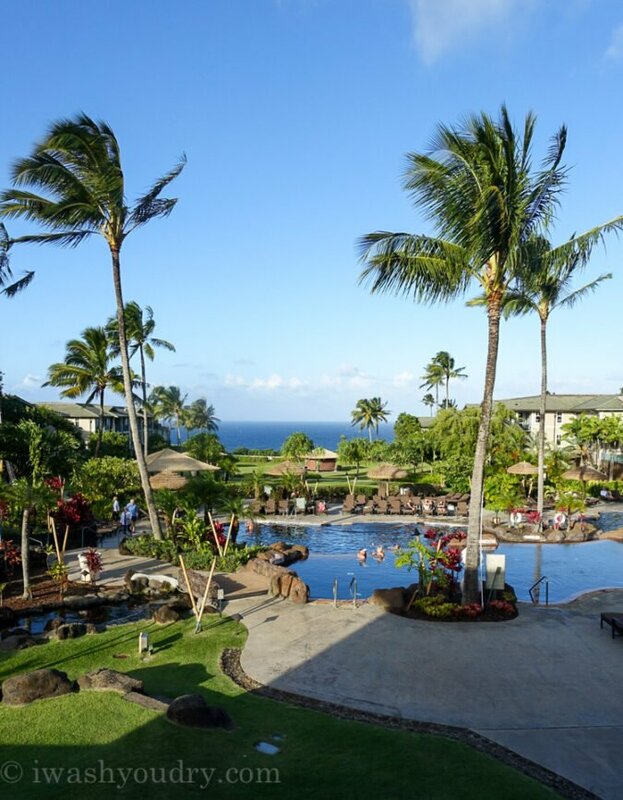 Disclosure: The Westin Princeville Ocean Resort Villas and Koa Kea Hotel and Resort provided us with a discounted media rate to stay at their property in exchange for an honest review. All thoughts and opinions are 100% my own. Thank you for supporting the brands that help make I Wash You Dry possible. 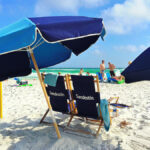 Sandestin Golf and Beach Resort + Giveaway! I love photography and want to set a tour for adventures places. 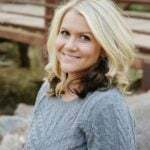 Beautiful pictures you post in this article. Amazing places you find and share with us. When we ride on the mountain then feeling is awesome. Just lovely moments. 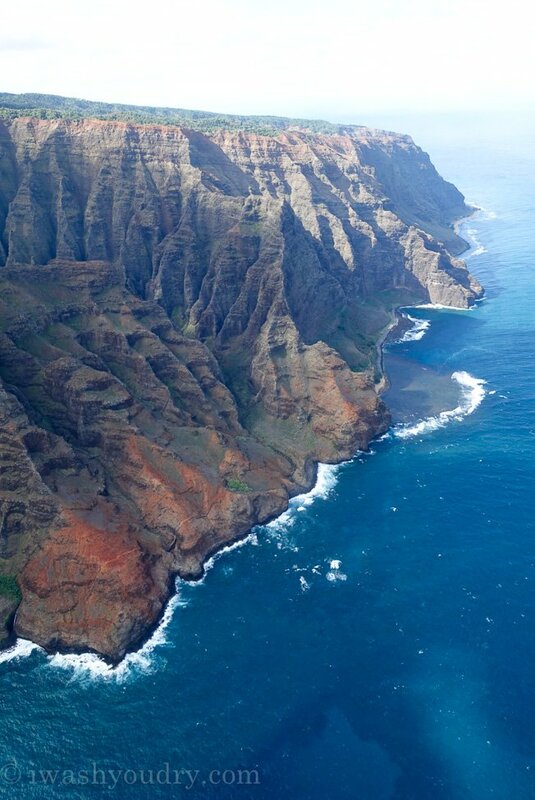 I wish someday I could visit Kauai. The view from helicopter is so amazing! Were headed to Kauai in April. So excited! 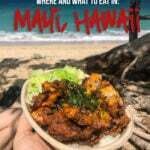 Would you have Any recommendations on where to eat ( or not). Thank you in advance! So cool! We loved Kauai and can’t wait to head back again! Pretty photos, and the ocean is just beautiful, thank you, happy holidays! Thanks! It truly is a beautiful place! Absolutely beautiful pictures. What a great trip that must of been! Thanks for sharing. Wonderful Pictures! You must be a professional photographer- I felt like we were right there, particularly the helicopter tour. Also thank you for sharing with us.